I was daydreaming of what it would be like if I got to sit across from Jesus, the Christ on Superbowl Sunday and interview Him. The following were my thoughts. Ace: Jesus, thank you for letting me talk to you. Jesus: Anytime, anywhere. I’m always there. Ace: Let me get this right; You’re 1/3 of the Holy Trinity, correct? Jesus: That’s what you say. Ace: All I know is what I’ve read from the Holy Bible. Jesus: Yes I’ve heard of this collection of writings. Ace: Did you ask that such a book be written about You, the Holy Spirit and your Father? Jesus: Does it say I did? Ace: Not that I can recall. 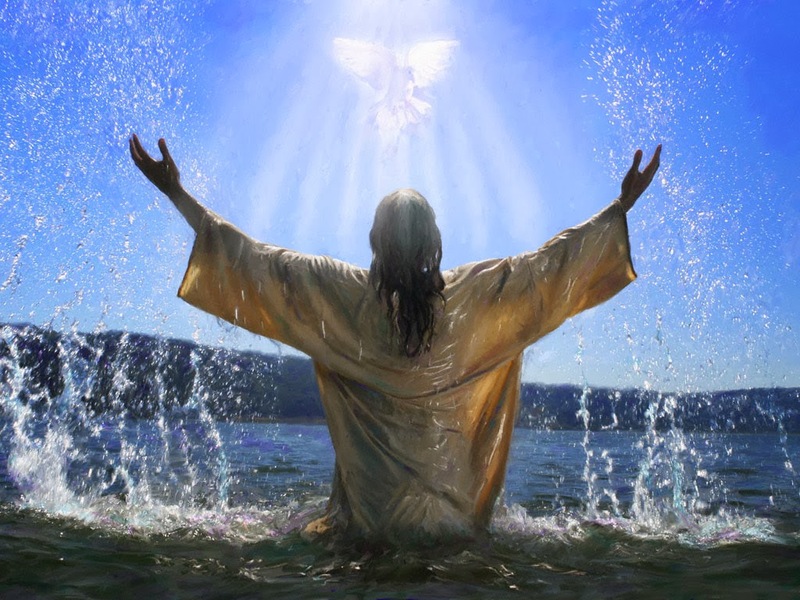 Jesus: I told my followers to go into all the world teaching and baptizing in the name of the Father, the Son and the Holy Spirit. Ace: Will we go to Hell if we don’t? Jesus: Do you think you should? Ace: You died and were without a heartbeat for 3 days, then you came back to life and reports say that hundreds saw you after you were killed on the cross. Jesus: Hey, better Me than you. Right? It was the plan from the beginning. Ace: You told Peter that you could call on more than 12 legions of Angels and wipe out the Roman Army. Why didn’t you? Jesus: I came to bring peace and not war. The Father wants those who love him on faith, not fear. He wants you to be your best, not a blob of molecules with an electrical charge. Ace: Why can’t we see the Father? Jesus: He’s there. Can you see the wind? You know it’s there. You can see the results of it, but you can’t see it, can you? Ace: Are all humans created equal? Jesus: Where did you read that? You are all the Father’s children whom he love’s very much. Ace: Our forefathers wrote that in a document we call the “Declaration of Independence”. Jesus: Did they die for your sins? Jesus: All men were created with free will. Ace: Why is there Evil in the world? Ace: Why did you even let Adam near the tree with the fruit of knowledge? Jesus: We want human spirits to be able to use their free will. We didn’t want Stepford humans. Ace: You’ve seen that movie, The Stepford Wives? Ace: What were your thoughts? Ace: Satan is so much more powerful than humans, how is the common man to face such a cleaver and evil opponent? Jesus: You have Me, the Father and the Holy Spirit. That’s 3 against 1. You’re not alone. Ace: Why do bad things happen to good people? Jesus: It’s the price of free will. Ace: Can I get to heaven if I don’t repent of my sinful ways, confess God is the one true God, ask for forgiveness and be baptized? Jesus: The Father loves Our creation and can let whomever He wants into Paradise. But if you prefer to make up your own rules just remember, that’s your decision. Ace: So why do so many “religions” teach that salvation requires this, this, and that to get into heaven? Jesus: Ace, I didn’t come here to start religions. I came to offer humans a way. I died in the flesh so that you don’t have to die in the afterlilfe. I didn’t write a book called “Salvation for Dummies”. I didn’t write any books at all. The only thing I wrote was in the dirt. You have all you need to get to heaven. I promised it to the 12 and those who heard it from the 12. Any more questions? Ace: Just one. Is Bill O’Reilly a saint or a pinhead? Jesus: Both. He’s a pinhead because he only allows his guests so much “free will” when it comes to answering his questions. Yet we all love him anyway. Ace: What makes him a saint? Jesus: He puts up with Geraldo.